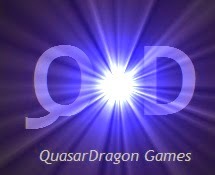 Thing are a bit insane at QuasarDragon headquarters so the first links are a bit late, but there's some quite good stuff. • "Cherry Blossoms on the River of Souls" by Richard Parks. Fantasy. "The tales varied as to why the well was outside the village rather than inside. Some say that an earthquake and rockfall destroyed the original town site and the survivors rebuilt the village at a safer distance, leaving the now-dry well where it was. Others say that a saké-addled farmer relieved himself in the well one night, so offending the spirit of the well that it had moved itself and had been dry ever since." • "The Coffinmaker’s Love" by Alberto Yáñez. Fantasy. "Miss Lavinia Parrish was a young woman when she chose to apprentice herself to Mr Harid de Borba, a coffinmaker of great skill but odd repute. Though the two were acquainted prior to her request, Miss Parrish had not laid bare her heart to her new master, nor had she otherwise explained her particular reasons for undertaking a trade." Now Posted: Theaker's Quarterly Fiction #45. Speculative Fiction. "We got chucked out of a club for being out of order in the ladies’ loo one Saturday night, and when we got back to Sully’s around 2 a.m., I started talking about black holes." "I was persuaded against installing a guard tower, but I became so used to the company of our two security guys, Benny and Ivtar, that I doubled their wages and asked them to stick around. They kept an eye out for journalists, discouraging any who came onto our land, kept an eye open for any other miscreants"
"It is the last day of the old era. Today marks a new dawn for the species, a greater epoch for every artificial life form on the planet. A time when we shall all be one with our creators, when our taste of mortality will grant us passage at last to the blessed kingdom: family hominidae, genus homo, species H. sapiens." • “Carcosa, Found” by Robin Wyatt Dunn. "I know that I was once a man, and even have a memory of it. I lived in the city of angels, and passed a vacant lot on a sunny day, and had occasion to look in through a broken plank." At Daily Science Fiction: "The Gifts: Part Three" by Mari Ness. Magical Realism. At Farther Stars than These: "The Distant Drums" by Scott Raven. Science Fiction. Poem. At 365 Tomorrows: "Rivals" by Jae Miles. Science Fiction. • At Beneath Ceaseless Skies: "The Black Veil" by M. Bennardo, read by Rajan Khanna. Fantasy. • At Fantastic Worlds of Edgar Rice Burroughs: The Son of Tarzan - Episode 1. Adventure. "The long boat of the Marjorie W. was floating down the broad Ugambi with ebb tide and current. Her crew were lazily enjoying this respite from the arduous labor of rowing up stream. Three miles below them lay the Marjorie W. herself, quite ready to sail so soon as they should have clambered aboard and swung the long boat to its davits." • At PodCastle: "The Devil and Tom Walker" by Washington Irving. Dark fantasy. "It was late in the dusk of evening that Tom Walker reached the old fort, and he paused there for a while to rest himself. Any one but he would have felt unwilling to linger in this lonely melancholy place, for the common pople had a bad opinion of it from the stories handed down from the time of the Indian wars; when it was asserted that the savages held incantations here and made sacrifices to the evil spirit. Tom Walker, however, was not a man to be troubled with any fears of the kind." Flash Fiction at Every Day Fiction: "Muscles" by Cheryl S. Levinson. Flash Fiction at Linguistic Erosion: "Our Lady of Montserrat" by Brandon Mc Ivor. Flash Fiction at Nature: "Quis custodiet?" by Brian Clegg, Science Fiction. Poem at Leaves of Ink: "Demoms" by Amanda Williamson.